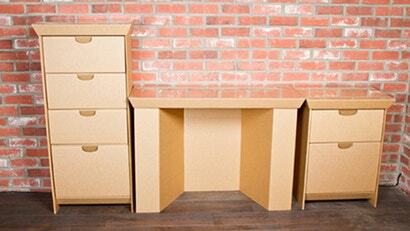 Fact: Every time you move, you're going to throw a perfectly functional piece of furniture away. Maybe it's laziness, maybe its the distance involved. Either way, something inevitably ends up in the trash and you feel guilty. With SmartDeco Furnishing's cardboard-ish offerings, the transient souls of the world can depart knowing everything's recyclable. SmartDeco furniture is made out of pulp-based corrugated fibreboard — a cheap, strong, lightweight material with an unmistakeable resemblance to cardboard. The offering includes a customisable array of the stuff you'll need for your room: a desk ($US50), a dresser ($US54) and a nightstand ($US34). There are also "connection kits" so you can combine and customise the furniture to your liking. After two long years Game of Thrones returned with its final season. And what would a GoT premiere be without excellent memes. And while there were plenty of great ones ripping on different aspects of the episode, Bran Stark came out as the winner of the most memeable character of season 8. So far. This is what the net had to say about him (and yes the elephants, too).